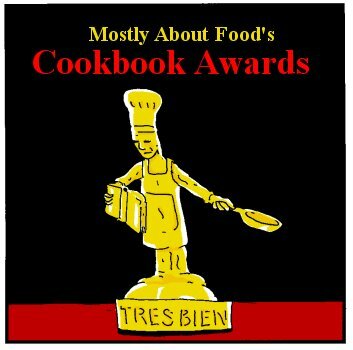 As I don’t have so many cookbooks that I could nominate five candidates in 7 categories, only the winner of each category will be announced. There was also a photo shoot for the winners, see the results below. 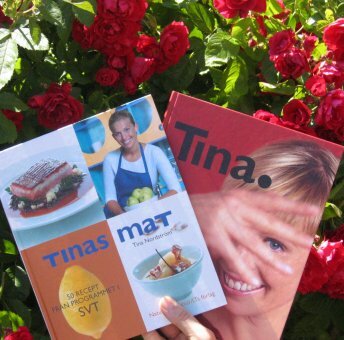 Being such an internationally oriented person and originating from a bilingual country, the cookbooks come in four languages: Finnish, Swedish, English and Danish. Although I am tempted to name a cookbook to follow me to a desert island, I have come to a conclusion that I wouldn’t take any. 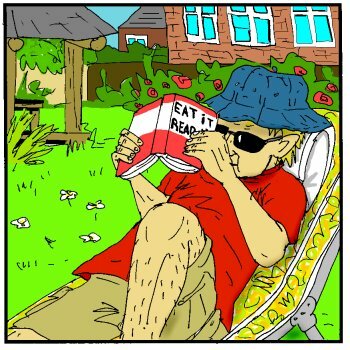 Living on a desert island, deprived of stove, oven, pots, pans and other kitchen utensils and most probably suffering from serious basic ingredient and spice shortage, a cookbook with recipes for strawberry-vanilla ice cream, or asparagus with melted butter would be very depressing to read. 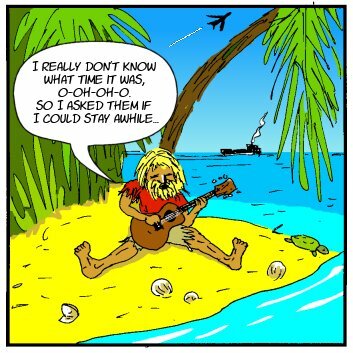 In case you are curious, I would take an acoustic guitar with me to a desert island. But enough with the small talk, it's time for the awards. The categories are chosen very intuitively and candidates are not limited strictly to cookbooks, which contain only or mostly recipes. 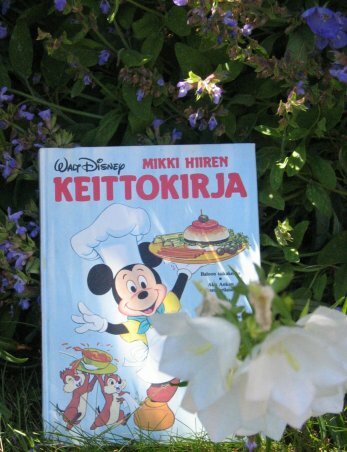 The award goes to Mikki Hiiren keittokirja (Mickey Mouse Cookbook). I still check the pancake recipe from there. We used to study it with mom and she made corrections to some recipes and I asked her, how this and this is done and why. A very good book to get a child interested in cooking. At least it worked on me. 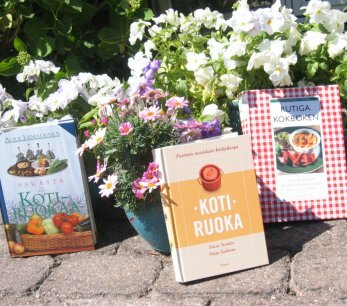 This is a tier between three books: Parasta Kotiruokaa (best home cooking), Rutiga Kokboken (the checkered cookbook), Kotiruoka (home cooking) These books contain everything you need to know about Nordic home cooking. Assuming you can read them. I really should use these more, so I could become better in baking buns and stuff. Normally, when I want to cook something that I haven’t had since age 19, I browse these for recipes and then call mom and ask for more advice. The basic bun recipe in Strawberry Hideout is translated from Parasta Kotiruokaa. If you have 9 pasta books and none of these (or their kin) in your bookshelf, you are in trouble. 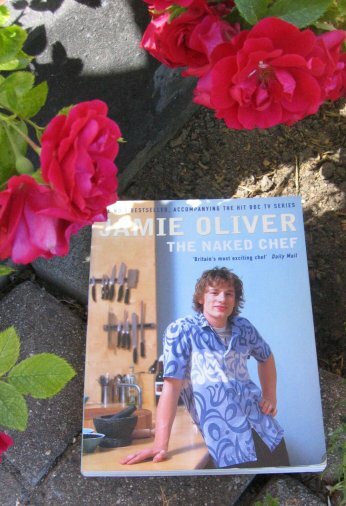 Jamie Oliver’s first book The Naked Chef sort of made me realize that making your own pasta or risotto isn’t really that hard. This is one of the books that have been very useful in learning techniques and getting inspiration and courage to try new things. 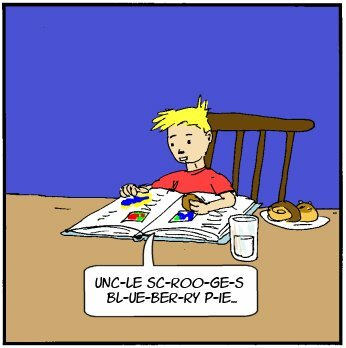 I don’t remember having followed many of the recipes to the letter, probably because in the end of almost every recipe, Mr. Oliver encourages the reader to try her own mix of ingredients and flavourings. So, when it comes to making pasta, risotto or semi-freddo, I am greatly indebted to the surprisingly well-clothed Naked Chef. 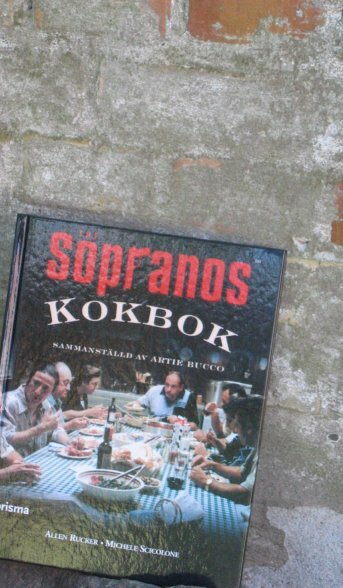 If there ever was a good, funny and useful cookbook built around a great TV-series, it’s the Sopranos Cookbook. It gives a serious Italian / American Italian vibe and the recipes, hints, tips and stories are extremely well bound in the overall concept. This is one of my absolute favourites and I also use the recipes quite frequently. The Jury is unanimous on Jamies Køkken. 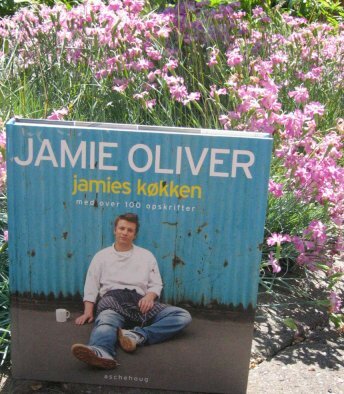 The original, English edition is named Jamie’s Kitchen. If I remember correctly, we got this one from Joanna’s previous workplace. I’m not sure if it was a birthday present or a wedding gift. I don’t mean that the book is terrible or the recipes are of no use, but it’s just... more of the same and not very inspiring. Sure, it is full of pornographic pictures of food and all, but it just fails to impress me. Maybe it has something to do with my overall tiredness of and increasing detachment from Jamie Oliver, whom I thought to be the greatest chef of them all some five years ago. 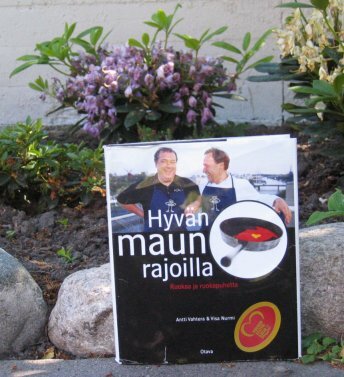 The winner is the 1998 Finnish Cookbook of the Year, Hyvän Maun Rajoilla. The name translates to something like “On the borderline of good taste” and it is written by one of Finland’s best-known chefs, Antti Vahtera and his foodie friend, Visa Nurmi, who runs an advertisement agency in the city of Turku. As of whole, I like this book a lot: it is clear that the authors enjoy their food and can cook and that they have a good sense of humour. Some of the recipes, such as the “Two fat boy’s white chocolate cake” give impressive results and the book is filled with interesting tips and info bits. But then there’s the small stuff that gets to my nerves. 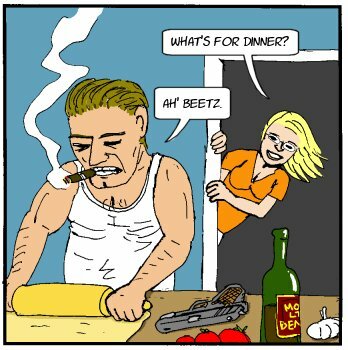 In the middle of one recipe it said something like “see the recipe for mussel broth in our previous book Eight days of the week”. So they are forcing me to buy another book of theirs to be able to complete this dish! Eff you, is my immediate response to that kind of recipe. And then there are some weird product placements, such as “put the ingredients in a blender (Philips) and mix...” Do they mean that a Philips blender gives the best results here? Did Philips pay for the mention in brackets? Given the profession of Mr. Nurmi, I am tempted to assume that this indeed is rather a shameless product placement. Sure, cooks and books recommend all the time different brands, but I think that there is a difference when you make a point of not substituting your Italian mascarpone with Philadelphia Light and insinuating that a Philips blender – as opposed to whatever you happen to have - is the proper tool for this mixing job. They may think it’s subtle, but for me it just spoils some of the enjoyment of reading the otherwise so witty and original book. 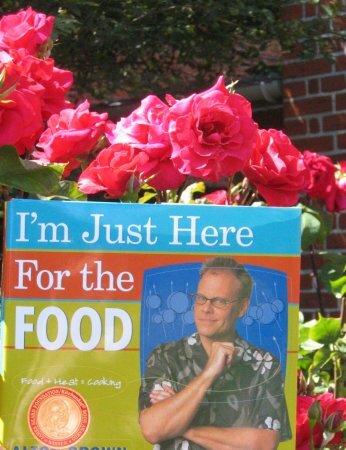 The Jury is a bit hesitant to give this prize to I’m just here for the food by Alton Brown. It might be my own fault; maybe I haven’t just plunged deep enough into it. I had expected a book that I just couldn’t leave off my hands. But alas, after a short while, I could. Would it help if he tried to be less funny? This is a mystery that requires further investigation. 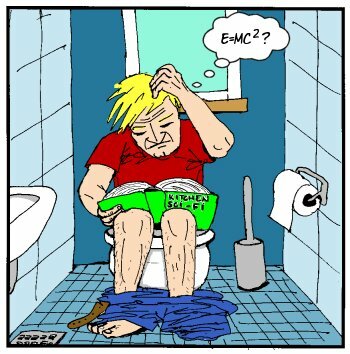 Honorary mention in this category goes to What Einstein told his cook by Robert L. Wolke. 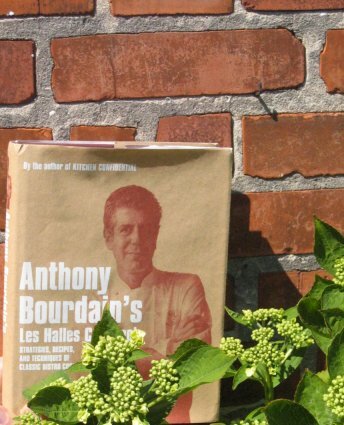 The award goes to Anthony Bourdain's Les Halles Cookbook. This one is a little scary. 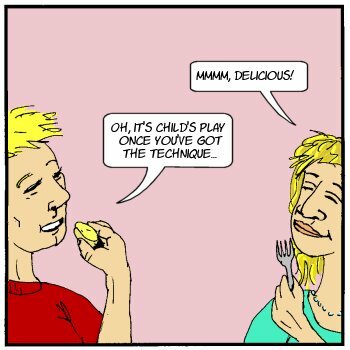 It makes me understand, why people need to go to culinary schools before becoming chefs. 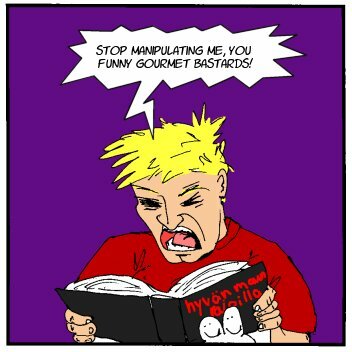 On the other hand, with Mr. Bourdain ranting near-endlessly about the uneducated Mexicans doing all the fine French cooking in the US, why should I, a man who has spent some 19 years in different schools, be afraid of these recipes? And I’ve worked with bad-mouthing, grumpy old geezers before, too. So I will let my curiosity win and use this as my first step in the inevitably long journey to learn about French art of cooking (after all, he is just cussing at me from the pages of a book). It might need to be stated that this is my only French cuisine cookbook so far, so I really can’t say how much more educative a bunch of other books on French cooking would be. 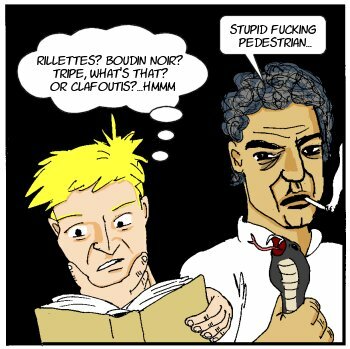 At least I am initially intrigued and I enjoy Bourdain's straightforward and at times brutal style. 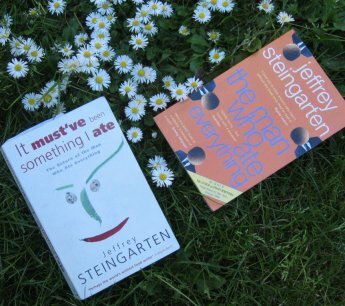 This award goes definitely to Jeffrey Steingarten’s The man who ate everything and It must have been something I ate. They aren’t really cookbooks, but they contain recipes, so I think they qualify. 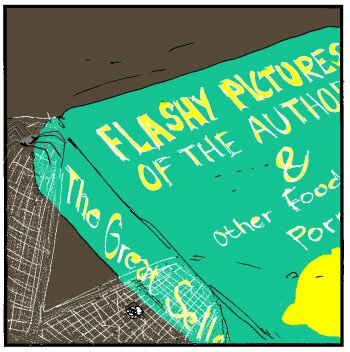 To read about the adventures of a man, who is obsessed with food in the way he is and who can write about it in the way he can, puts me in a really good and inspiring mood. But I am not sure if I’ll ever dare to try his recipe for Turducken, for instance, although I am very tempted. These books give a very good idea about just how far you can take your passion for eating and cooking. 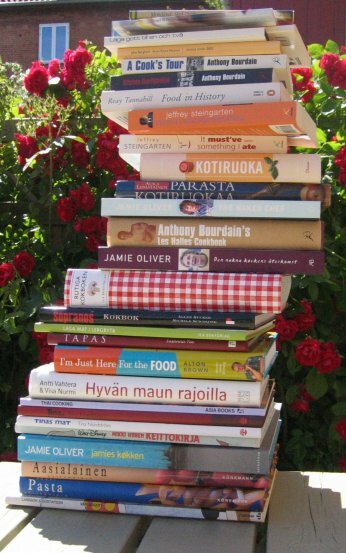 So, that was the Mostly About Food Cookbook Awards, as inspired by The Amateur Gourmet. 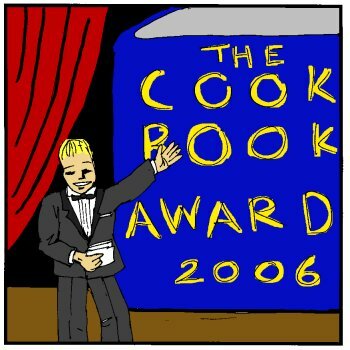 The Jury hopes that you have found the awards show entertaining and that you, too will answer to Adam's call to take part in his Cookbook Award Internet Meme. Thank you and good night!